Many internet users like you and I find ourselves one way or the other on Youtube searching for video guides, entertainment, movie trailers and different kinds of informative tutorials. Hence, the need for a way to download the videos we find more useful to our course for later view or to keep as achieve. Well, with that been said, there are few ways you can download youtube videos and i will be showing you the various methods I use. 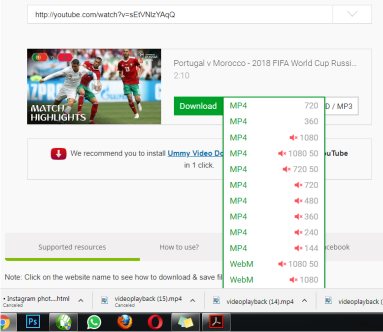 When you are on Youtube, and you have seen the video you want to download. just like int he image below. 2. Replace it with "ss"
3. Click on enter after replacing with ss as instructed above. Several video format option will be give for you to select your desired one. 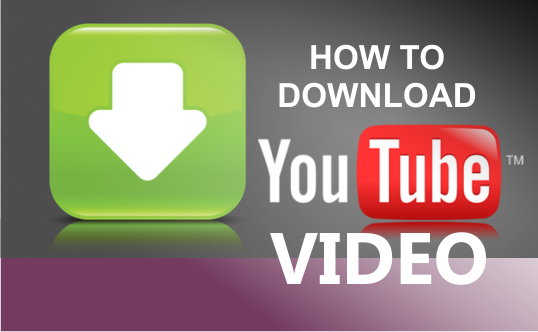 select a video format and you download will start automatically. This method is very effective as it allows you to also download Facebook video, Instagram video and Youtube video. 1. Go to google and search for savefromnet extension for your browser (google chrome, mozilla firefox, opera, safari). e.g search "savefromnet extension for chrome" on google. 2. Download the extension and install it to your browser. 3. Your browser may need a restart. so close and re open your browser. 4. Go to youtube and search for a video and you will see a red icon as shown in the image below which aids easy download of the video by simply choosing the video format you want. With this method, every time you browse the web and you come across a youtube video, the red icon with video format automatically shows. If you find this post helpful to you, kindly share it. Thanks. If you encounter any difficulty, please leave a comment below.